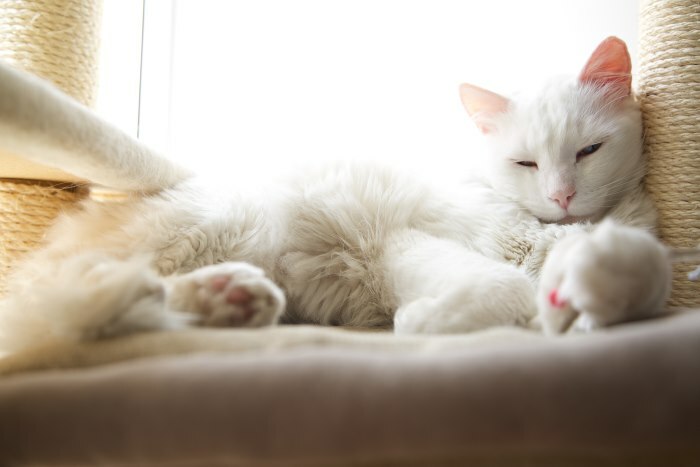 It can be tough picking out the perfect name for your cat, but if you have a white cat, then we have bunch of suggestions for you. 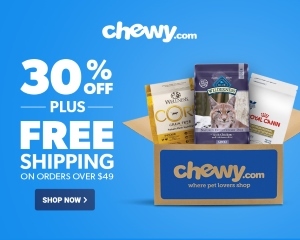 We certainly hope that one of these is a great fit for your pet. Blizzard- The power of a snowstorm is an evocative name for a male kitty. Blofeld- The white cat belonging to James Bond’s nemesis has no name, so why not go for the owner’s moniker? Casper- The friendly ghost offers another good name for pop culture lovers. 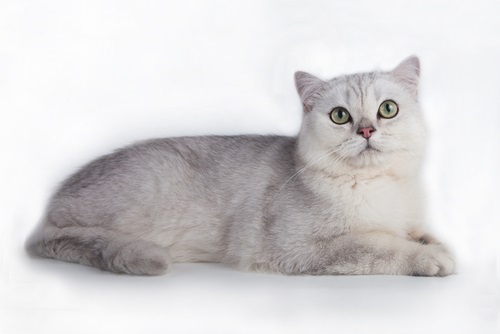 White Lightning- This is another powerful name that is fitting for a white, male cat. 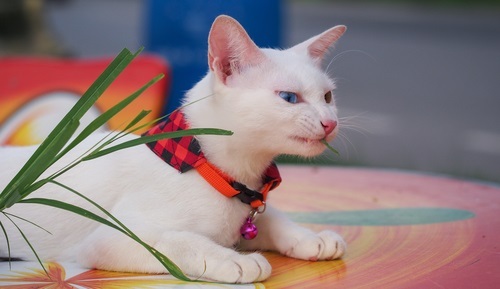 Ice Man- Whether you are naming your cat after a character from the X-Men or from Top Gun, the name fits white cats. Bear- Pick this one when your cat reminds you of a polar bear. Yeti- You could choose a name that belongs to the abominable snowman. Snoopy- Why not pick the name of a famous white dog for your white cat? Everest- You could name your cat after the highest peak in the world. Avalanche- The falling wall of snow and ice is another strong snow name for cats. Nimbus- You may want to name your cat after the fluffy, white cloud. Stormy- Strong weather names make great choices for male cats. Q-Tip- This is a fun name for any white cat. Blanc- It’s French for white. Shiro- This one means white in Japanese. 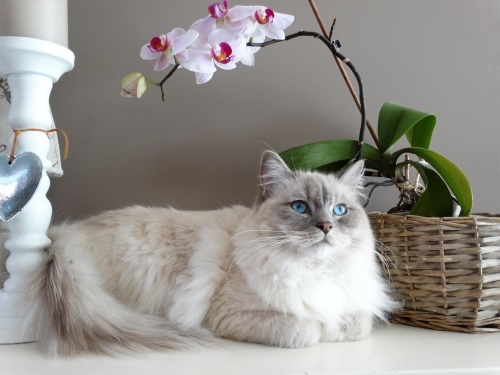 Lily- The white flower is a perfect namesake for your female cat. Misty- This name lends an ethereal quality to these often-mysterious creatures. Ororo- You could go with the civilian name of the X-Men character Storm, who often dresses in white. Luna- If your white cat reminds you of the moon, then you could pick the Spanish name for that heavenly body. Angel- Traditionally, angels dress in white, and your cat just might fit the namesake. Snow White- The fairy tale character’s name perfectly describes many white cats. Elsa- The Disney princess loves ice and snow, making the name a perfect fit for white cats. Bianca- It means white in Spanish. China- This one is ideal when your cat reminds you of fine china. Daisy- Pick this one for beautiful cats that are as pretty as the white flower. 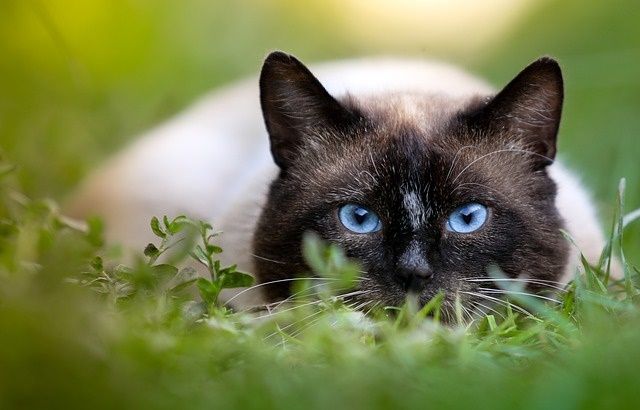 Pearl- The precious substance is an ideal cat name. Isa- In Norwegian, it means ice. Crystal- This is a lovely name that evokes human qualities and, of course, brings to mind the precious stone. Queen- If you have a regal cat, why not name her after royalty? Ice Princess- Or, you could go with the next step down in the royal family. Snowflake- Snow names are simply the best for white cats. Snowball- This one is perfect for cuddly cats. Powder- What could be a better name for a soft, adorable cat? Tic Tac- You could name your cat after the white mint we all know and love. Ghost- If you want your cat to have a bit of mystery and danger to it, then this name is perfect. Spirit- Any ghostly sort of name will do for white cats. Frosty- Does it describe your cat’s color or their disposition? Vanilla- This sweet flavoring is an ideal name for sweetly tempered cats. Ivory- The material that makes up the tusks of elephants is smooth and elegant, just like many cats. Fluffy- This is the perfect name for an adorable, furry cat. Marshmallow- Your cat may be sweet and soft, like this dessert food. Glory- It’s short for morning glory, a white flower. Eskimo- This is ideal for cats that are fluffy like Eskimo clothing. Yuki- It’s Japanese for snow. Boo- When your cat is white like a ghost, you pick a name that says so. That was our list, and we hope you found some names you like. Be sure to check out our other lists if you have cats of a different color.